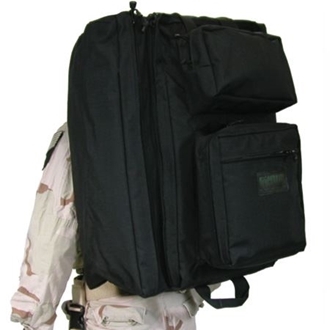 BlackHawk Diver's travel bag is an outstanding multi-use bag with superior workmanship. It features separate fin pockets and padded exterior equipment pockets. The bag opens completely for easy organization and packing. Total: 16”L x 11”W x 26.5”D = 7350 cu. in.